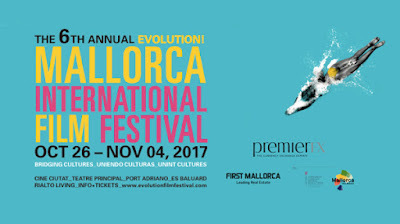 Palma de Mallorca, November 13, 2017: Evolution Mallorca International Film Festival, set in the heart of Mallorca's buzzing and culturally rich center of Palma, announced on Nov. 13 special artist awards and the feature film and short film recipients of this year's juried awards. 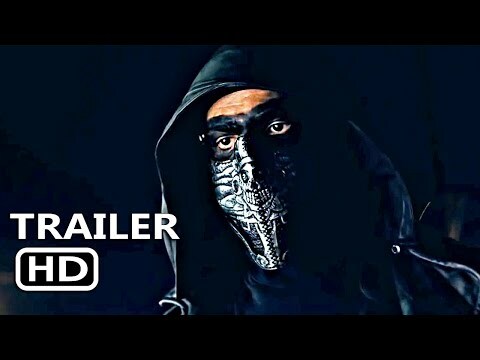 Festival Awards were awarded by internationally esteemed jurors in juried categories, including: Feature film - Best feature film, Best Actress, Best Actor. Short Film - Best Actress, Best Actor, Best Feature and Short Documentary, Best Music Video, Best Experimental short, Best feature Film Screenplay, Best Film Made in Baleares short, Evolution Island Award (best feature film made in Baleares) and the Evolutionary award (best new filmmaker). The Evolutionary Award was awarded to actor Pilou Asbaek from Game of Thrones. This award honors the evolution of a culturally relevant artist on the international film scene. It is both an acknowledgement and promise of the growth of the artist as a tastemaker, influencer and leader on the international film scene. Previous received by actress Ana de Armas from Blade Runner. The inaugural Evolution Vision Award was presented during the festival's opening night Gala to iconic, Academy Award winning filmmaker Paul Haggis. Said EMIFF Founder and Executive Director Sandra Seeling Lipski, "The Evolution Vision award honors a filmmaker that has shown resilience in the film industry and has, time after time, proven his talent with excellent creations as a writer, director or actor. Paul is an incredible inspiration for the next generation of filmmakers." The EMIFF award is designed by internationally acclaimed artist GUSTAVO. Evolution Mallorca International Film Festival (EMIFF) is one of the fastest growing and exciting film festivals in the Mediterranean. An excellent hub for networking with some of the brightest minds in filmmaking, EMIFF is as intimate and invigorating as it is breathtakingly gorgeous. Best Actress, Feature Film: Ella Rumpf for 'Tiger Girl'. Best Screenplay: Scott Simpson, Callie Earlene. 2017 EMIFF presented 12 films in Narrative feature and 8 films in Documentary feature Competition, 30 international short films, a special Music Video section curated in partnership with The Los Angeles Music Video Festival, as well as additional nightly events and special screenings. Special events included the Opening Night Gala Screening of The Song of Sway Lake, produced by Ari Gold Films. Centerpiece Gala will be the 'Evolution Vision' Award Presentation to iconic filmmaker Paul Haggis, with a screening of his award-winning film Crash. Other Gala events include: Spotlight Gala Screening of acclaimed narrative film The Big Sick, a Closing Night Gala Screening of Thelma (the official Oscar submission by Norway for best foreign-language film) and an Awards Gala at Mercado Gastronómico San Juan. Filmmakers and industry professionals visit this island paradise to discover "the next great generation of filmmakers" The festival presents a diverse selection from world premieres to film festival favorites, short film screenings, Q&As, a Drive-In Cinema section at the Philip Stark designed Port Adriano, an Art & Cine event at the modern museum of contemporary art Es Baluard, and a Virtual Reality zone presented by VRand. All screenings and events took place in Palma de Mallorca, at venues including the Teatro Principal, Cineciutat, Rialto Living, Port Adriano, Musuem Es Baluard, The Vrand Garage VR space and Mercado San Juan.